Ruby Modern Diner, Queen Street, Exeter. 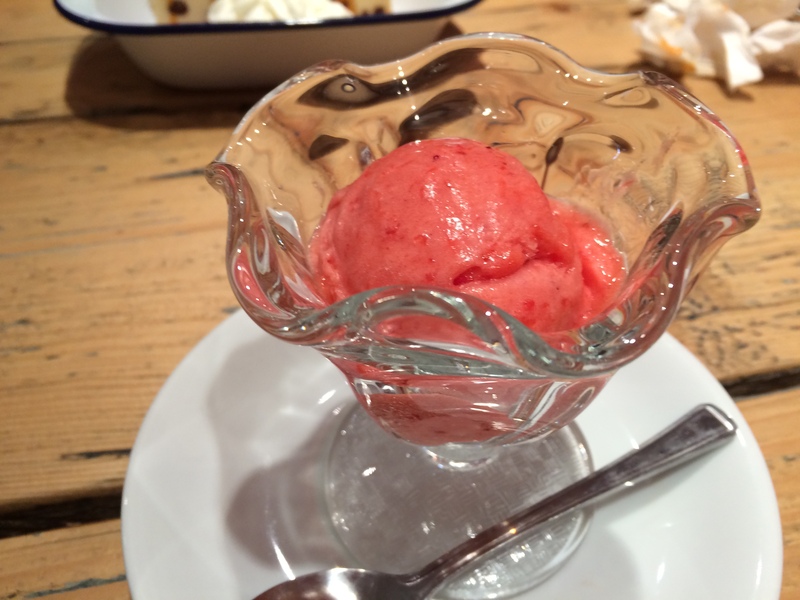 It’s no secret that I absolutely LOVE Ruby Modern Diner in Exeter. If you know me – or even if you don’t – you will have seen me singing their praises all over FaceBook and especially Twitter for a good couple of years now. My opinion is well documented! I eat there whenever I get the chance – the fact that I live approximately 200 miles away, yet it is still my go-to eatery of choice should tell you something about how highly I rate the whole Ruby “experience”. Here’s a review of my first visit from Trip Advisor, back in Summer 2013 and another from later that year. 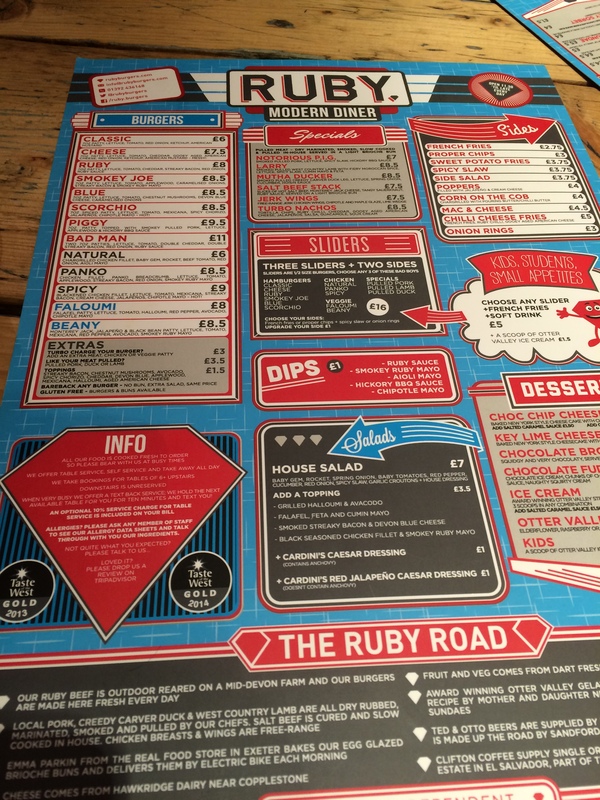 As you can see, I really do love everything about Ruby Modern Diner, so imagine my delight when I was invited to sample the newly updated menu, while I was on a work trip to Exeter earlier this month. Here is the new menu – some dishes have been tweaked and some new ones have been added, but the ethos is still the same – locally sourced food, cooked to perfection and served in a fun, friendly environment. I’ll be straight with you – I have a healthy appetite. I can certainly put it away with the best of them! Yet I have never managed more than a main course at Ruby. The portions are so generous that a starter was always out of the question (would take up valuable burger space) and much as I adore desserts, I have only ever shared them and even that has been a rarity. So on this occasion, myself and my dinner date, my best friend Stu – decided we would pace ourselves and at least TRY to leave room for pudding. So after much umming and ahhing, I settled on sliders – this is always my go-to favourite. 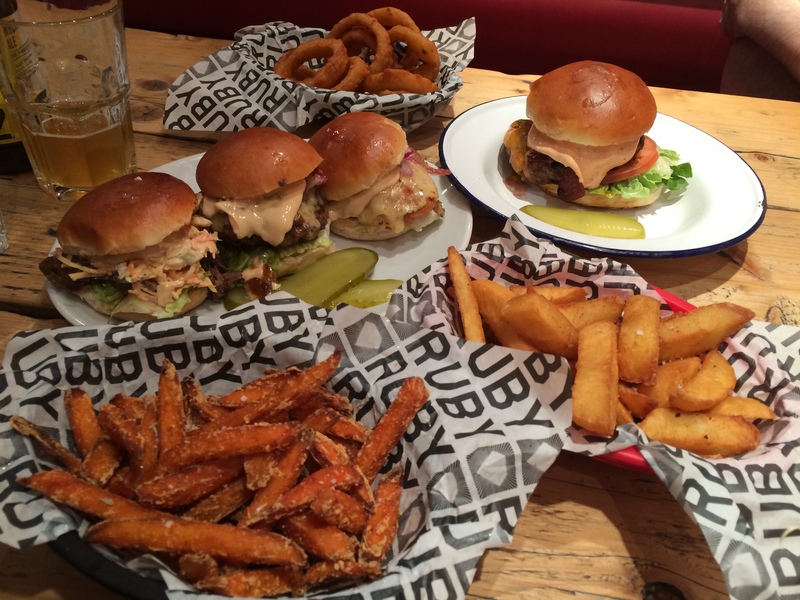 For a start, you get three individual burgers. Three! This means you can try three different fillings in one fell swoop. Three! Plus this option comes with two sides. I opted for Sweet Potato Chips and Onion Rings. Jealous? Drooling? You should be. That food tasted every bit as good as it looked. I’m not a huge lover of lamb, but wanted to try the pulled lamb slider, because FETA, but oh my, it was good – delicately spiced, so tender and so very tasty. The meat just melted in my mouth and the trimmings were the perfect accompaniment. Stu’s Scorchio was also delicious – and I quote “10/10, would eat again” – I have to confess at this point that the Scorchio is not really for me, as I don’t do REALLY hot (well, not where food is concerned anyway), but I had a little taste (minus the jalapenos) and even I was impressed. Flavour filled and such a generous portion. Oh, have I mentioned the buns? All burgers are served in egg-glazed brioche buns – since the menu has been updated, the buns are now slightly bigger and denser (who doesn’t like bigger buns, eh?) – locally made freshly every day and delivered by electric bike! As our meal was a marathon and not a sprint, we took our time and made a real evening of it – the staff were friendly and attentive, but in no way bothered us or tried to hurry us. 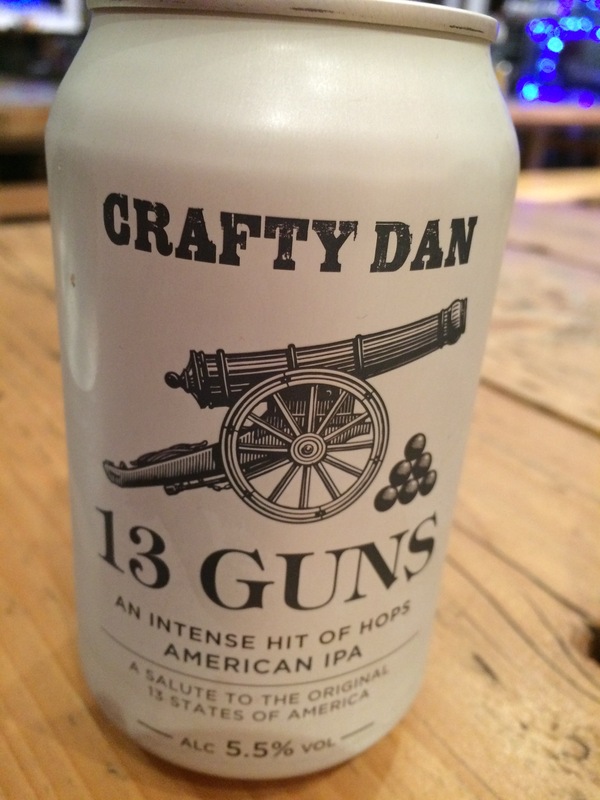 I had to stick to soft drinks as I was driving, but Stu sampled two drinks from a range of craft beers available and found them very pleasant. We even managed to leave room for desserts. Stu opted for the Choc Chip Cheesecake with Salted Caramel Sauce and Cream, while I went for a portion of Summer Berry Sorbet. (Otter Valley, again, locally sourced from an award-winning family enterprise). Oh. My. So good. So very good. Just the right combination of sweet and sharp – the perfect (almost) ending to a very delicious meal. 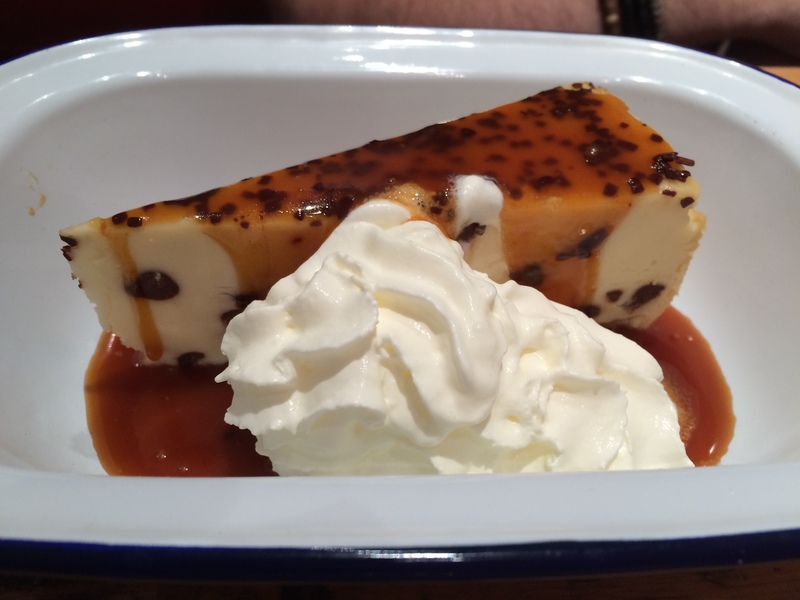 The cheesecake was divine too – yes, Stu let me have a (very little) taster – something I chose NOT to reciprocate, he has pointed out, several times since. I rounded everything off with a very nice cup of tea. All in all an excellent evening. The staff were welcoming and attentive but in no way overbearing. 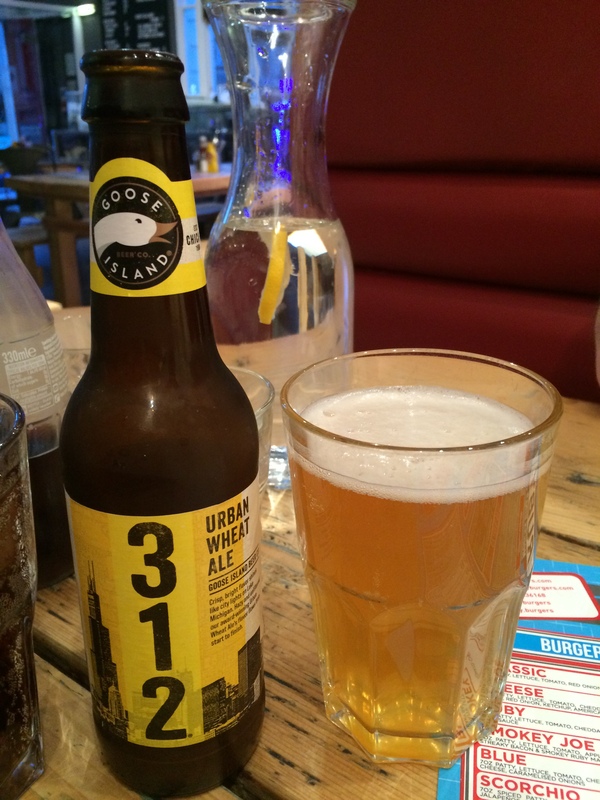 A wide and seductive selection of food and drinks – amazing value in a really chilled atmosphere. If you get the chance, please pay them a visit? Even if you don’t live in Exeter (I don’t) it will be worth your while and if you DO live in Exeter – what are you waiting for? Ruby Modern Diner has been open just over two years. They offer waited tables, self-service and a takeaway option. There is seating for over 100 diners and reservations for parties of 6 and above can be made by telephoning 01392 436168. Note: We were invited guests of Ruby Modern Diner, we were not asked to pay for our meals and all opinions are our own. Their vegetarian options are AMAZING. There’s a haloumi and falafel burger, with grilled red pepper – mouth watering! I’m sorry I didn’t cover shakes in this review. They do standard shakes which are to die for, but also hard shakes which are THE BEST DRINKS EVER. Last Easter I had a Creme Egg Shake with a shot of vanilla vodka. I fell in love with that shake! If you need a dinner date you let me know! I never say no to Ruby! Ruby looks amazing, especially that dessert! Mouthwatering! 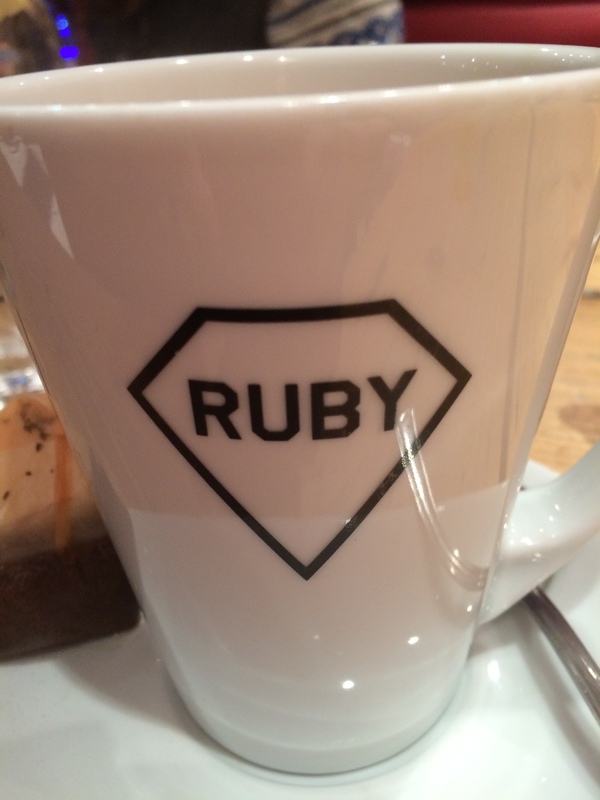 If you’re ever in Exeter, please do go to Ruby – you won’t regret it. Such nice food and such a cool environment and atmosphere.